Share what you thought about Brothers in Arms and earn reward points. 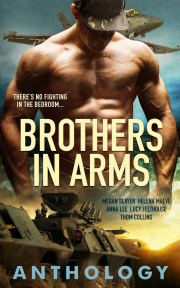 This is a m/m, military anthology. I know I was excited when I read that too, and these short stories pack a romantic punch. The writing was engaging and kept me reading...I wanted more. Excellent short story.